This article is about the Santa Clara River in southern California. For the Santa Clara River in Utah, see Santa Clara River (Utah). The Santa Clara River (Spanish: Río Santa Clara) is 83 miles (134 km) long, and is one of the most dynamic river systems in Southern California. The river drains parts of four ranges in the Transverse Ranges System north and northwest of Los Angeles, then flows west onto the Oxnard Plain and into the Santa Barbara Channel of the Pacific Ocean. The Santa Clara River was originally named the Rio de Santa Clara on August 9, 1769 by the Portolá expedition on the march north from San Diego to found a mission at Monterey, to honor Saint Clare of Assisi who died on August 11, 1253. The Santa Clara River Valley was then known as the Cañada de Santa Clara. The Santa Clara-Mojave River Ranger District of the Angeles National Forest is named after the Santa Clara River. The failure and near complete collapse of the St. Francis Dam took place in the middle of the night on March 12, 1928. The dam was holding a full reservoir of 12.4 billion gallons (47 billion liters) of water that surged down San Francisquito Canyon and emptied into the river. The Santa Clara River as viewed from Santa Clarita. After the Castaic Creek confluence, the river starts to flow primarily southwest through the Santa Clarita Valley. Near the county line between Los Angeles County and Ventura County, the river enters the Santa Clara River Valley flowing past Buckhorn and Fillmore, incorporating additional flow from Piru Creek and Sespe Creek, both from the right, and Santa Paula Creek at the town of Santa Paula, where it passes the large South Mountain Oil Field on the south bank. The Santa Clara River then bends southwest, passing the Saticoy Oil Field on the north bank where South Mountain marks its entrance onto the broad Oxnard Plain. The river ends at the Pacific Ocean after flowing across the north side of this plain made fertile with the silt deposited by the river. A sand bar usually stands across the mouth at the Santa Clara Estuary Natural Preserve that lies within McGrath State Beach in Oxnard and bounded on the north by the city of Ventura. Although located just north of the heavily populated Los Angeles Basin, the 1,600-square-mile (4,100 km2) Santa Clara River watershed remains one of the most natural on the South Coast. It is separated from the Los Angeles Basin by the low Santa Susana Mountains, along the north side of which the Santa Clara River runs. On the east are the San Gabriel Mountains, and on the north are the Santa Ynez Mountains, Sespe Mountains, San Cayetano Mountains, and Tehachapi Mountains. Piru, Castaic and Sespe Creeks, each over 50 miles (80 km) long, are the primary tributaries of the Santa Clara River. While Piru and Castaic Creeks form reservoirs for the California State Water Project (Pyramid Lake and Lake Piru on Piru Creek, and Elderberry Forebay and Castaic Lake on Castaic Creek), Sespe Creek is designated a National Wild and Scenic River, unique among Southern California streams. There are 57 archaeological sites and 12 historical landmarks in the watershed. The Santa Clara River watershed borders on the Ventura River/Matilija Creek watershed on the west. On the northwest, lies the Santa Ynez River watershed. On the north is the interior drainage basin of Tulare Lake in the Central Valley. To the east is the Mojave River and to the south is the Los Angeles River. The Santa Clara River is the second largest river in Southern California; the larger one is the Santa Ana River. The estuary has been modified by human activities at least since 1855. By the late 1920s roads and agricultural fields had become established. In the late 1950s the former delta area was occupied by the Ventura Water Reclamation Facility and agricultural fields with levees constraining the river from these areas and directing the flow to the Harbor Boulevard bridge. McGrath State Beach was established in 1948. The estuary has been designated a Natural Preserve within McGrath State Beach on the south bank of the river mouth. From the north bank of the river, the city of Ventura releases some 9,000,000 US gallons (34,000,000 l; 7,500,000 imp gal) of treated effluent daily that flows into the Santa Clara Estuary Natural Preserve from their water reclamation facility (VWRF). A sand berm separates the river from the ocean most of the year. In years with adequate rainfall, the river breaks the berm which is then slowly rebuilt by ocean action through the rest of the year. When the river watershed has an exceptionally dry year, the berm acts as a dam, allowing the water level to rise with the discharge. In August 2014, with the frequent flooding of the access road and many of the campsites in the state park, a report found that the park had only been open five of the past eighteen months because of repeated flooding. When the berm is broken when it is not raining, fish can become stranded in the sudden draining of the estuary waters. The estuary was identified on the 1998, 2002 and 2006 Clean Water Act 303(d) lists of impaired water bodies. In 2012, the Los Angeles Regional Water Quality Control Board required the Counties of Ventura and Los Angeles together with cities along river to limit the total maximum daily load of bacteria potentially harmful to human health that discharges from stormwater outfalls into the Santa Clara River, primarily during the dry season. Sources of bacteria of concern in urban runoff from the County, City of Fillmore, City of Oxnard, City of Santa Clarita, City of Santa Paula, and City of Ventura include pet and animal wastes, sanitary sewer overflows, and organic debris such as leaves and grass. Examples of ways they will improve water quality include increased frequencies of street sweeping and stormwater catch basin cleaning; field surveys to locate and eliminate both dry season street runoff and leaks from the sanitary sewer systems; and enhanced public education. The river is habitat for threatened species such as the unarmored three-spined stickleback, steelhead, southwestern pond turtle, and least Bell's vireo. In 2002, eight Southwest willow flycatchers hatched in the Hedrick Ranch Nature Area (HRNA), a 220 acres (89 ha) preserve just east of Santa Paula managed by the Friends of Santa Clara River. The first SWFs to hatch on the river in recent times was at the Fillmore Fish Hatchery in 2000. The endemic, endangered Santa Ana sucker (Catostomus santaanae) lives in parts of the Santa Clara River system. Historic documentation of an important recreational steelhead trout (Oncorhynchus mykiss) fishery occurs for the Santa Clara River into the mid 1900s. The steelhead trout run on the Santa Clara river prior to 1940 is estimated to have had thousands of fish and to have been one of the largest steelhead runs in southern California. Construction of the Vern Freeman Diversion Dam and other migration barriers on the mainstem, Santa Paula Creek, Sespe Creek, Piru Creek, and other tributaries during the mid 1900s appear to be correlated with the demise of the steelhead run as habitat availability decreased and surface flows decreased. Adult steelhead still try to migrate up the river with an adult trapped at the Vern Freeman Dam in 2001. A wild rainbow trout population still exists in the headwaters of the Santa Paula, Sespe, Hopper, and Piru Creek tributaries and is producing out-migrating steelhead smolts bound for the Pacific. However, challenges to outgoing smolt migration include low to no stream flows downstream of the dam or predation in the coastal estuary. Lampreys, a parasite, also impact the steelhead. Invasive species such as Arundo donax also create changes that are not favorable to spawning trout. Genetic analysis of the steelhead in the Santa Clara River watershed has shown them to be of native and not hatchery stocks. There were beaver (Castor canadensis) historically in the Santa Clara River until Europeans arrived, according to oral Ventureño history taken by ethnolinguist John Peabody Harrington in the early twentieth century. The full reference is: "The beaver comes and gnaws the tree on the side towards which it leans, and at last falls over. The tree is leaning towards our house. I am beginning to fear that it will fall on us. The beaver builds its house in the river or the cienegas in the time of our ancestors. There were beavers at Ventura and also at Saticoy." This historical observer record is consistent with a beaver skull collected in 1906 in the Sespe Creek tributary by Dr. John Hornung, a zoologist at the Los Angeles Museum of Natural History. Quagga mussels were discovered in Lake Piru in 2013. They are an invasive species found in rivers and lakes in the U.S. The Harbor Boulevard bridge, the most westerly crossing, marks the upstream boundary of McGrath State Beach and the Ventura Water Reclamation Facility while the estuary continues a little farther upstream. In 1969 the river breached the north bank, flowed through an area that had historical been part of the estuary, flooded a new golf course and Harbor Boulevard, and deposited silt and debris into recently completed Ventura Harbor just upcoast from the reclamation facility. Over the years, many communities have used the river banks as dumps to create levees that would keep the river from flooding adjacent lands during occasional years with heavy winter rains. Three dump sites about 2 miles (3.2 km) upstream from the mouth came under the control of the Ventura Regional Sanitation District by 1988. The district used the landfill gases to produce electricity until 2001. As the landfill aged and its contents decomposed, the release of gas became intermittent and the gases from the recovery system are burned off in a flare. The defunct power plant was built just upstream of the Victoria Avenue bridge, the second crossing upstream from the ocean. The riverbed was mined extensively for sand and gravel throughout the post–World War II building boom for the construction of homes and highways. Mining the riverbed for sand and gravel impacts the riparian zones by destroying habitat and changes sediment flow regimes. The mining decreased significantly in the 1990s due to increased costs needed to satisfy environmental concerns and concerns that the removal of material increased scouring and undermining of bridge foundations and pipelines that crossed the river. As of 2010[update] there were still 3 active gravel operations in the upstream area. There are also water diversions, most notably the Freeman Diversion Dam, located approximately 10.7 miles (17.2 km) from the ocean The United Water Conservation District, formed in 1950, battles groundwater overdraft through a combination of aquifer recharge and providing alternative surface water supplies. The District owns Lake Piru and key facilities along the Santa Clara River that are used to manage groundwater supplies. The district provides wholesale water delivery through three pipelines to various portions of the Oxnard Plain. The Vern Freeman Diversion Dam, built by United Water in 1991 on the Santa Clara river, channels water to shallow basins designed to replenish the aquifer. For decades before the structure was built, earthen dams were constructed in the river to divert water to farmers and replenished the aquifer. The berms would have to be rebuilt whenever winter rains created a flow that breached the berms. Southern California Steelhead were declared endangered in 1997 and the fish ladder on the structure was deemed insufficient. The National Marine Fisheries Service determined in 2015 that fixing this was a high priority since it is the first structure the steelhead encounter when attempting to migrate from the ocean. A judge determined in 2018 that the federal Endangered Species Act had been violated by United Water by failing to ensure that the structure provided an adequate water supply and migratory passageway for steelhead. The riparian natural areas that remain along the river are of interest to several conservancy organizations. Easements are obtained that allow historical farming to continue and permanently protect the land from development. The river’s natural processes in the floodplain can continue with natural flooding of open space and agricultural fields. This avoids building levees that increase the risk of flooding downstream. Newhall Ranch is an under-construction, large scale master-planned community in an unincorporated portion of Los Angeles County along the river in the easterly portion of the Santa Clarita Valley. The required permits for the project describe how the work will fill in and alter more than 82 acres (33 ha) of flood plain and tributaries. These include threatened and endangered fauna and flora, including the California condor, the California gnatcatcher, the southwestern willow flycatcher, the least Bell's vireo, the arroyo toad, the San Fernando Valley spineflower, and the threespine stickleback. The water reclamation plant serving the development will be near the boundary with Ventura County. The plant will treat an estimated 6,800,000 US gallons (26,000,000 l; 5,700,000 imp gal) of water every day before releasing it into the river as it flows towards the ocean and into Ventura County. During the decades the Newhall Ranch project has been in planning, it has faced legal actions and environmental concerns. The downstream impact and other effects also drew Ventura County officials and citizens into opposition to the project. The landmark California Environmental Quality Act (CEQA) used to challenge the development, may have led to a better-designed project while saving crucial habitat. In 2014, the California 2nd District Court of Appeal overturned a Los Angeles County Superior Court ruling and found that the environmental impact report adequately analyzed the project's potential impact on endangered fauna and flora and Native American cultural artifacts. The ruling also supported the agency's determination that storm-drain runoff from the project's 2,587 acres (1,047 ha) into the Santa Clara River would not harm juvenile steelhead trout downstream in Ventura County. Subsequently, the California Supreme Court agreed to review a petition that stated the appellate court opinion exempting developers from protections for the unarmored threespine stickleback would apply to other protected species such as the California Condor. ^ The river is heavily dependent on seasonal rains, so its flow is often zero. ^ a b Gudde, Erwin G. (1949). 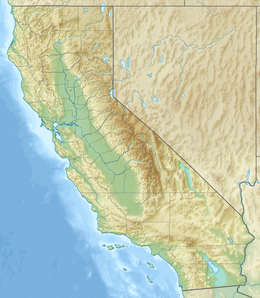 California Place Names: A Geographical Dictionary. Berkeley, California: University of California Press. p. 315. ^ a b c "USGS Gage #11114000 on the Santa Clara River at Montalvo, CA (Monthly Averages)". National Water Information System. U.S. Geological Survey. 1928–2004. Retrieved 2010-09-16. ^ "USGS Gage #11114000 on the Santa Clara River at Montalvo, CA (Peak Streamflow)". National Water Information System. U.S. Geological Survey. 1932–2004. Retrieved 2010-09-16. ^ "Eight Willow Flycatchers Fledge at Hedrick Ranch Nature Area". Friends of Santa Clara River. January 4, 2001. Retrieved April 9, 2013. ^ Sahagun, Louis (August 22, 2016). "Environmentalists to sue San Bernardino and Colton over the killing of threatened fish". Los Angeles Times. Retrieved August 23, 2016. ^ a b Moore, Mark (1980). An Assessment of the Impacts of the Proposed Improvements to the Vern Freeman Diversion on Anadromous Fishes of the Santa Clara River System, Ventura County, California (Report). Ventura County Environmental Resources under contract 670. Retrieved June 7, 2010. ^ D'Angelo, Alexa (March 31, 2019). "Third-graders at Rio del Sol School banded together to help save an endangered fish". Ventura County Star. Retrieved April 1, 2019. ^ Chumash Field Notes, John P. Harrington Papers Microfilm edition: Volume 3, Reel 85, Frame 0305 - 0307. National Anthropological Archives, Smithsonian Institution. Retrieved January 2, 2017. ^ "MVZ Mammals 4918 Castor canadensis subauratus Sespe River". Berkeley, California: Museum of Vertebrate Zoology. Retrieved January 2, 2017. ^ Walter P. Taylor (1916). The Status of the Beavers in Western America with a Consideration of the Factors in their Speciation, in University of California Publications in Zoology Vol. 12. Berkeley, California: University of California. p. 449. Retrieved January 2, 2017. ^ Pedro Font. Expanded Diary of Pedro Font. Archived from the original on July 17, 2011. Retrieved January 30, 2011. ^ Miller, Joanna M. (March 20, 1994). "A Few Deadly Floods Stand Out in County". Los Angeles Times. Retrieved 19 March 2017. ^ Herdt, Timm (April 2, 2015). "Fox Canyon agency added to complaint over water diversions". Ventura County Star. ^ Boyd-Barrett, Claudia (October 2, 2018). "Judge says steelhead need more help in Santa Clara River". Ventura County Star. Retrieved 21 March 2019. ^ Sahagun, Louis (March 6, 2014). "Newhall Ranch project faces new hurdles with environmentalists' suit". Los Angeles Times. ^ Holt, Jim (August 17, 2010 - Updated: August 18, 2010) "High cost of compliance" The Santa Clarita Valley Signal Retrieved April 10, 2014. ^ Sahagun, Louis (March 20, 2014). "Court clears way for Newhall Ranch project to proceed". Los Angeles Times. Retrieved March 21, 2014. ^ Sahagun, Louis (July 11, 2014). "California Supreme Court to review opinion in Newhall Ranch dispute". Los Angeles Times. 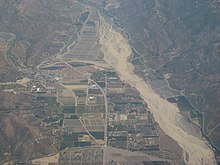 Wikimedia Commons has media related to Santa Clara River (California). "Santa Clara River Estuary". California Resources Agency. Archived from the original on 2007-06-11.